Skiing is one of most attractive winter sports although it very unfamiliar sports to most of the Indians. 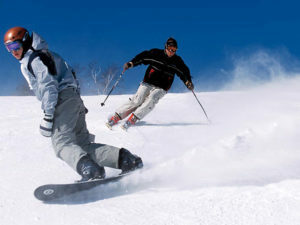 People who are attracted to winter sports mainly skiing then Gulmarg is the best ski destination for them. Gulmarg has gentle slopes (the amount of inclination is comparatively lower) which offers great opportunity for skier’s to indulge in Skiing activity. The Ski season starts from mid-December and lasts till the end of March (depending upon snow). This is the best time when sleepy town Gulmarg turns into a “Mecca of skier’s”. Gulmarg has second highest cable car “GONDOLA” in the world which facilitates Skier to go at the top of the mount Apharwat peak (12,290 ft) with their ski equipment. The gondola is internationally famous for single cable car going at an elevation of 4,265. Gulmarg is rated as one of best ski destinations in the world. 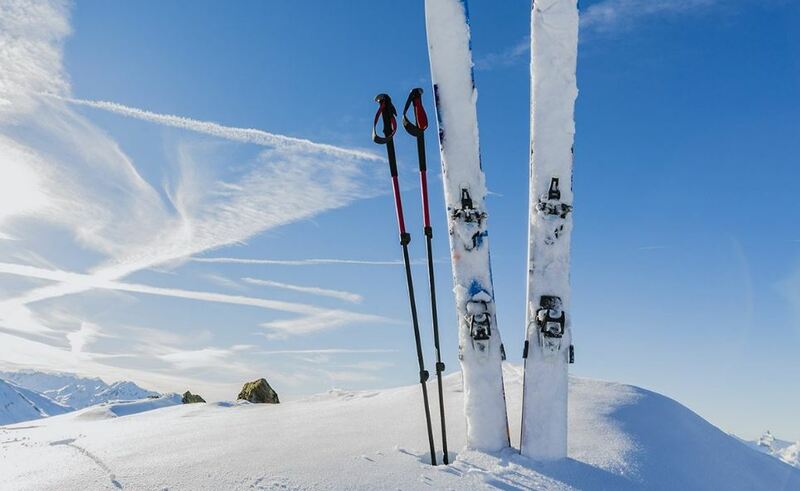 The slopes of Gulmarg are the main attraction of skiers as it fits for both intermediate and experts skiers. 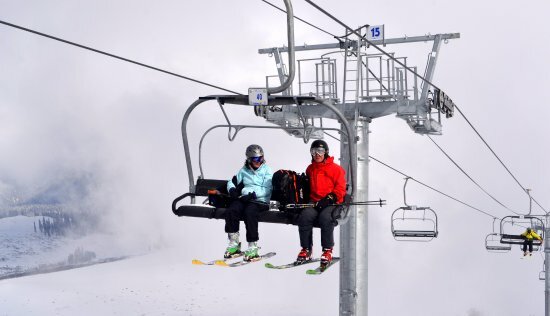 Intermediate skiers can start skiing from phase I base of Apharwat Mountain while expert can go to the different peaks of mount Apharwat by Gondola. 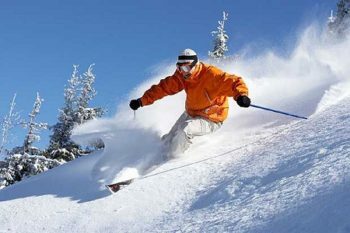 Another attraction for Ski in Gulmarg is the soft and fluffy Snow. It is in the form of smooth powder- the finest powder in the world, which allows a great ride for Skier’s and reduces the risk of accident. The Skiing peak in Gulmarg is one of the largest, longest and highest in Asia. In Gulmarg, there is a central institute for winter sports especially for “skiing”, IIS&M- Indian Institute of skiing and mountaineering founded in 1969 by the government of India to develop Gulmarg as a Ski resorts at an International level. 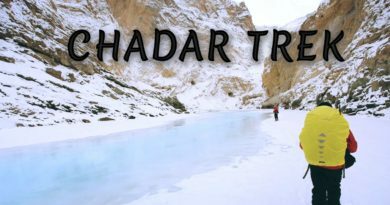 Now it has become a full-fledged Institute which various winter sports and skiing activities. Gulmarg qualifies all the condition required to be a Ski resort “the Cable Car/chairlift and other is guide”,also the Ski petrol which is managed by American Avalanche specialist consisting of 14 trained local Kashmiri scientist and rescue team. The Ski Resort have experienced avalanche warning system to skier’s alert from any trouble. Gears and other Skiing equipment’s are easily available on rent in Gulmarg at a nominal price. Gulmarg is 60 Km away from Srinagar airport which easily accessible for skier’s to reach their destination. 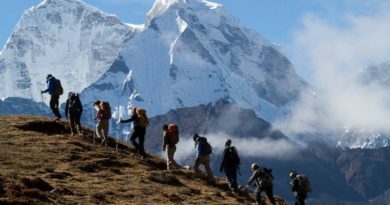 5 BEAUTIFUL TREKS IN HIMALAYAS! !